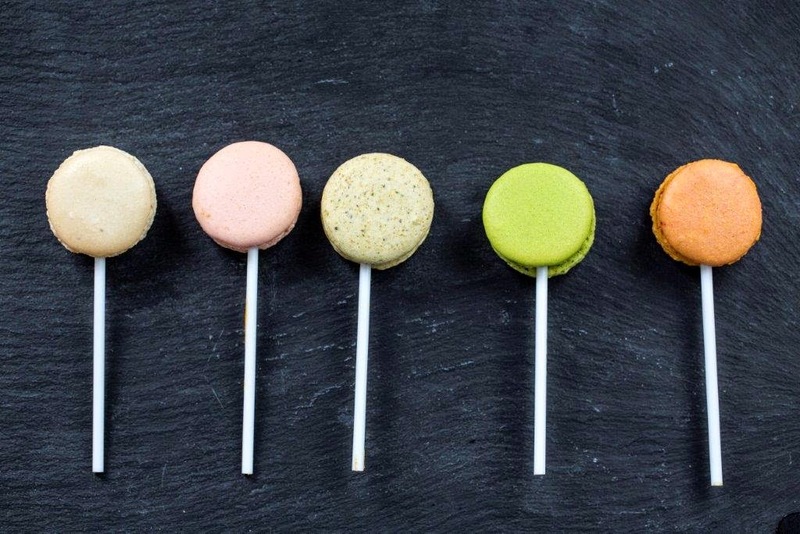 A Most Curious Wedding Fair Blog: SHOP THE SHOW - MOST CURIOUS LONDON! MOST CURIOUS LONDON IS COMING SOON AND WITH SHOP THE SHOW! Just 10 days to go now until the 100 exhibitor strong wedding event for the style savvy couple takes over the Truman Brewery on 7-8 March! 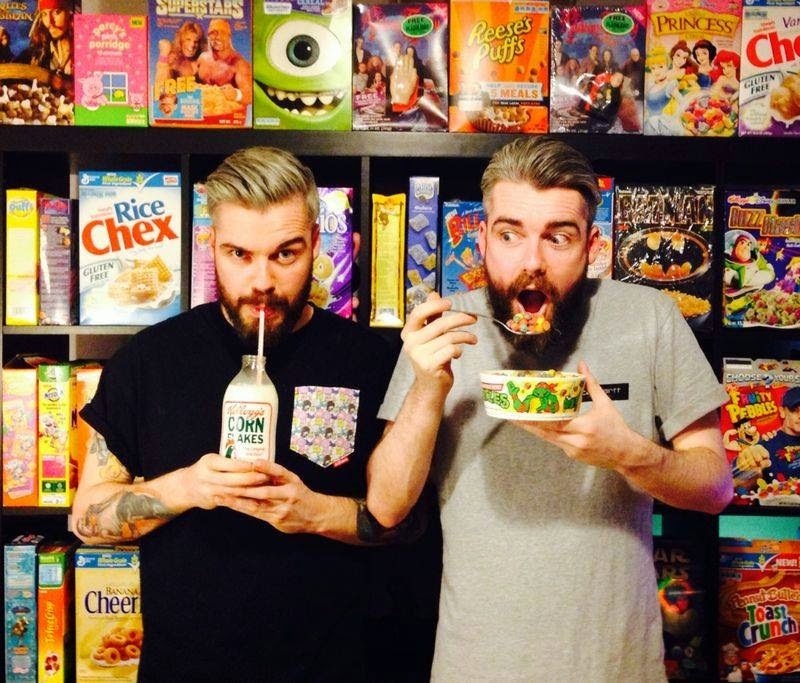 As well as the explosion of creative suppliers, there's punchy fashion shows, Palm Spring themed installation spaces and Cereal Killer Cafe providing the in-house cafe! As well as all this it will be a shopping experience for brides and non brides alike - welcome to Shop the Show! Not just for the big ol' bookings and 'the one' purchases (of which there will be many!) There will be plenty of smaller, quick fix retail opportunities to buy direct from the coolest and chicest makers in the biz and beyond. 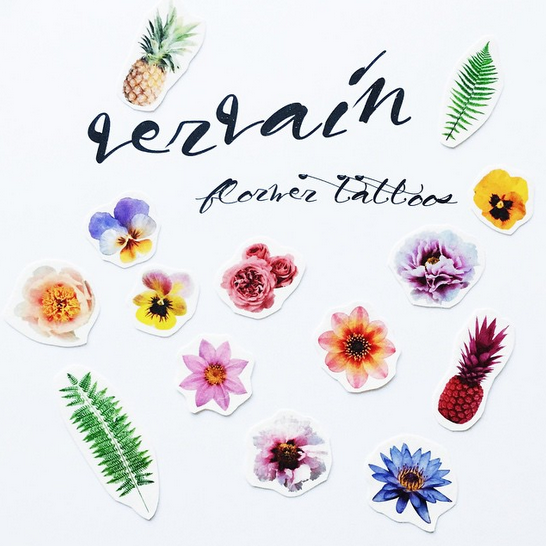 Check out these bang on trend temporary tattoos from uber cool new florist Vervain (above) £5 for a pack of mixed designs. What about Super cool Reo Jewels handmade unisex jewellery with an edgey animalistic side, from full in bridal bling to everyday awesome pieces, all will be on sale on the show. 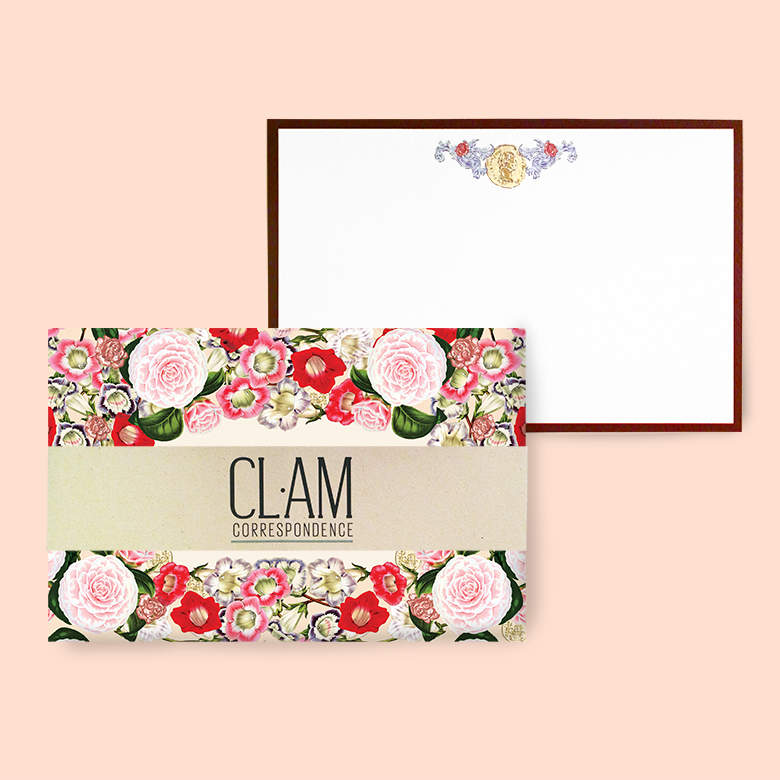 They'll be the chance to buy cool paper goods from the plethora of fab wedding stationers exhibitirs such as these luxury note cards from tropical loving, deaigners CL.AM Correspondence. 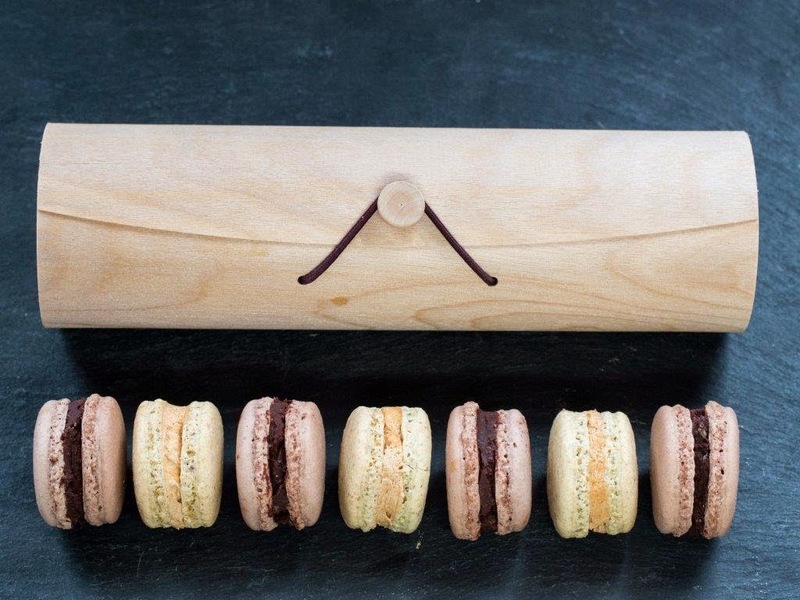 Lots of sweet treats too, like this special wooden scroll gift box of 7 macarons, with flavours like salted caramel and Madagascan Vanilla for £12, from fine patisserie Mon Dessert, who will have Macaron cake pops too - FUN! The Fiona Headband is by London-based designer AM Faulkner Millinery - usually £60, this fabric hydrangea and silk tulle band will be at a special Most Curious Show Price of only £50, ready to be taken home on the day! Great for a festival, or your bridesmaids or even the actual bride herself , so pretty! Daisy Sheldon Embroidery's sweet beaded flower Hair Vine has a silk ribbon that ties at the back and is handmade in the UK. ONLY £30.00 at the show! 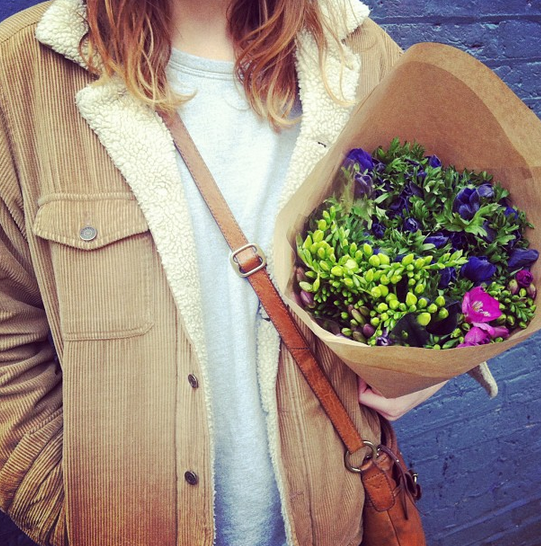 Let's not forget about the floral and plant buying opportunities - we have some of the best and most exciting florists in the UK (nay the world!) exhibiting and you can buy direct from them! 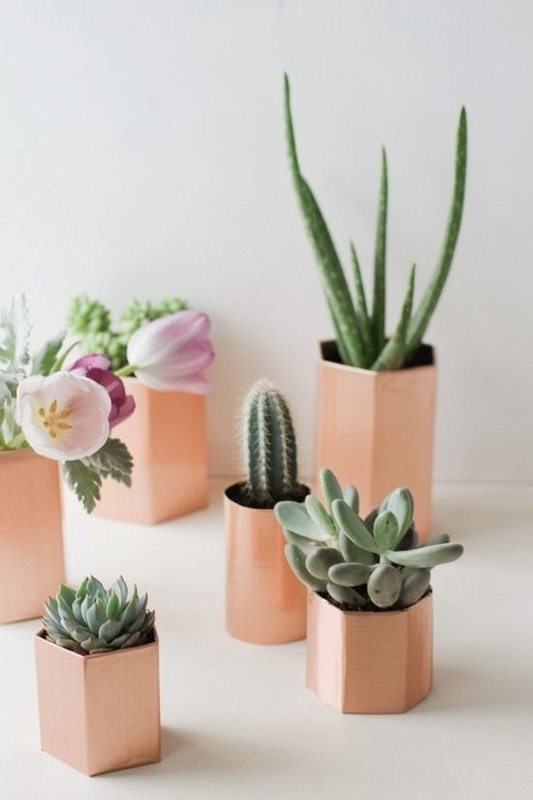 Including succulents in pots and the chicest of bouquets to take away to adorn your homestead from the lovely One Flew Over. 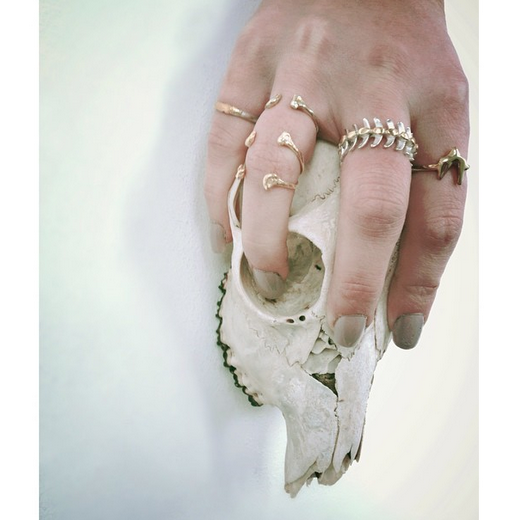 Crown and Glory will be there showcasing their own collections and the collabs with Rock n Roll Bride too. 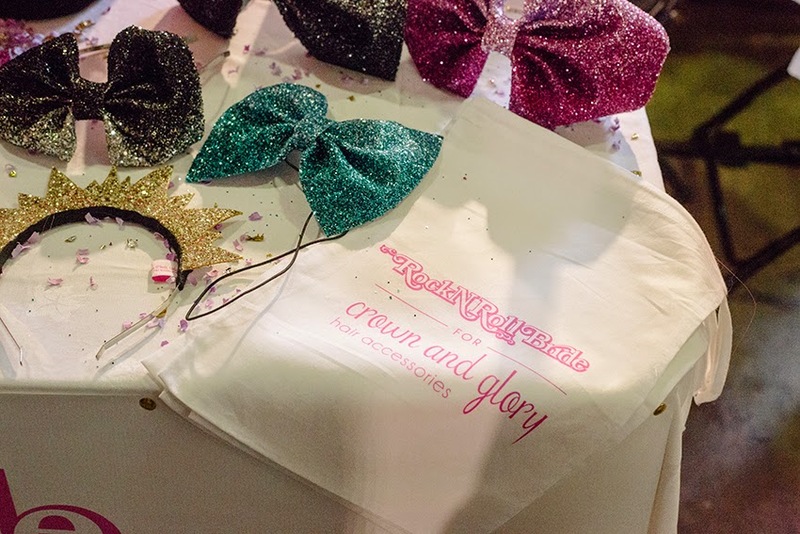 Crown and Glory fun and punchy accessories start at £3 and none go over £50, with most being around £20 - quids in guys! 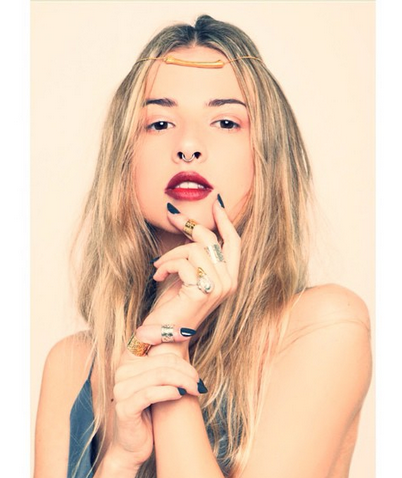 From your statement piece for your W-day-look to some everyday sparkle, come try and buy it straight from the awesome Sophie, founder and head designer at Crown and Glory, at the show! Sort out some of the smaller buys for your big day, there and then on the spot! With companies like on-trend decor company Pea Green Boat Weddings showing, it won't be hard. 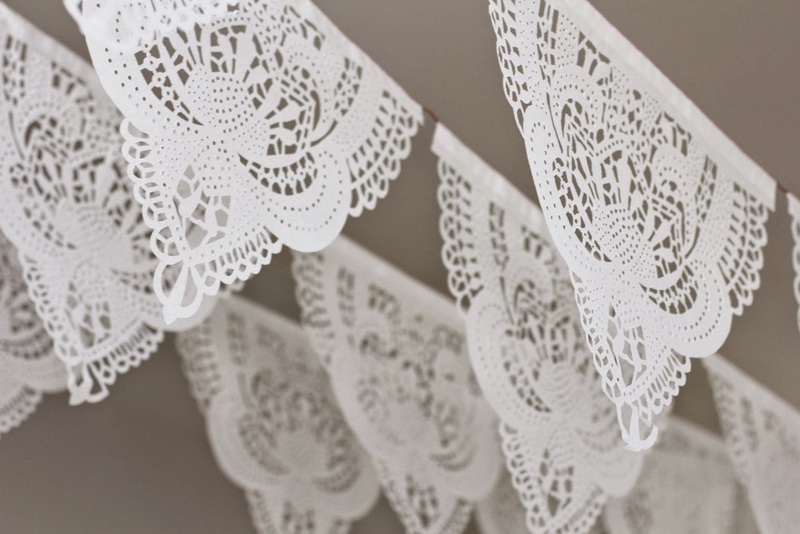 Check out this delicate lace papel picado, hand-chiseled to their own design based on 1920’s lace from gossamer-thin white tissue paper by expert craftsmen just outside Mexico City. And only £16 Score!